IMPORTANT – EBOOK edition of this book is an ART BOOK and not used for coloring on the device. The eBook is a preview providing useful content on the benefits of coloring for both children and adults, also showing the brilliant designs available in the physical copy of the book. A BONUS link in the book lets you download books with high quality coloring book PDF pages with dozens of illustrations that readers can PRINT. The download is optional, it is not the main function or purpose of this ebook – PRINT REPLICA. Take a break, relax and do mandalas! The circular designs of the Mandala help take your stress away. Coloring them is a proven method of reflection that helps you dig deeper into the issue and possibly create solutions too. It’s therapeutic makes it strongly advisable for children and adults alike. 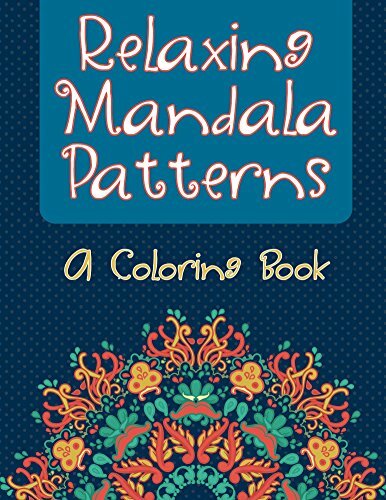 Grab a copy of this relaxing coloring book today.